For today's walk, I joined Dan Fleischer for a brief stretch of his "Manhattan thru-hike". Dan is an experienced long-distance hiker from Portland, Oregon, and he decided to spend his three-week summer vacation walking every street on the island of Manhattan. During his trek, he refrained from using any form of transportation other than walking, heading out each morning on foot to get to his starting point and returning home at night the same way. (He rented three places in different parts of Manhattan for a week each, which helped reduce the amount of back-and-forth walking he had to do each morning and evening.) Hoofing it more than 30 miles per day — and probably closer to 35 — he covered every street on the island in a single continuous trail of footsteps, hence the "thru-hike" part of the name. 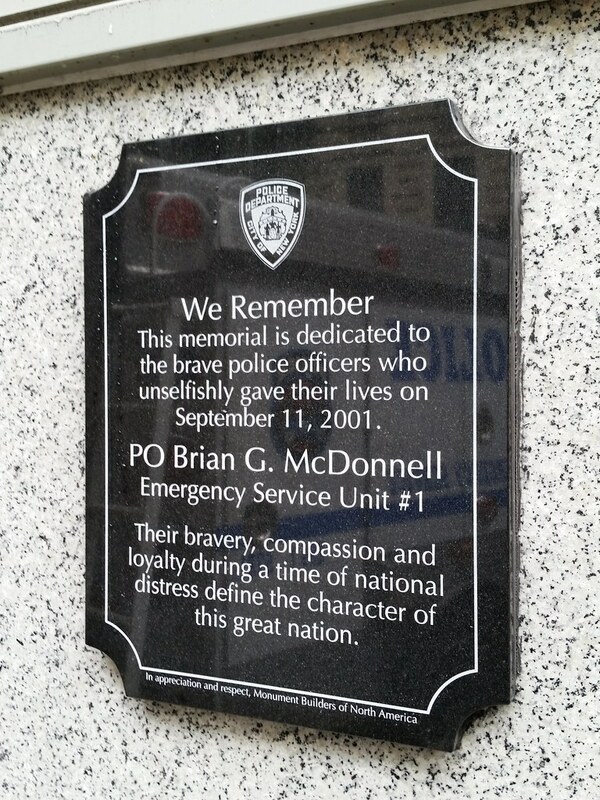 Memorial #127 can be found outside the 13th Precinct police station. I photographed the main part of the memorial when I first passed by back in 2013. Here are a couple of additional components that I must not have noticed at the time. 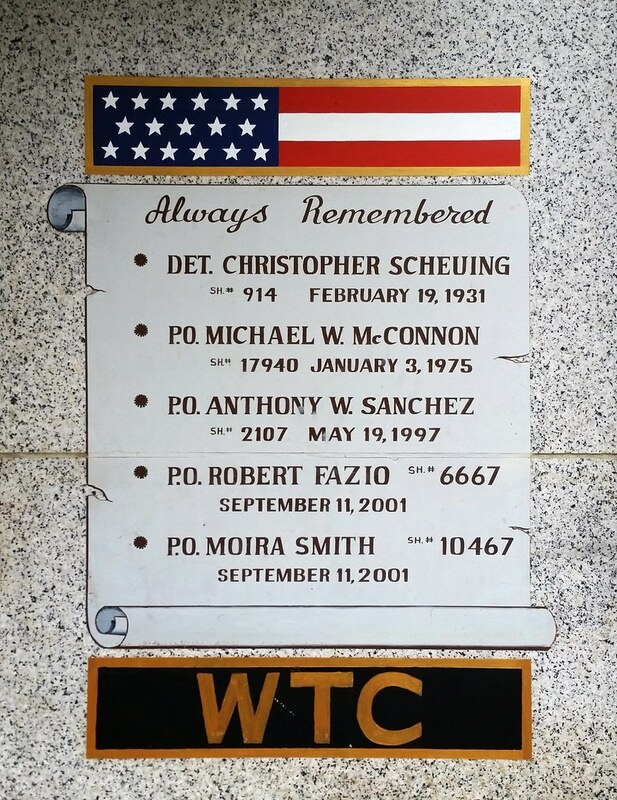 The truck reflected in this plaque is dedicated in memory of Officer McDonnell.